Neglecting to replace a refrigerator filter when it exceeds its rated service life or when it becomes too saturated with contaminants can have serious consequences. Aside from drastically decreased water quality, a compromised filter can also put the refrigerator’s systems at risk of damage due to the accumulation of sediment and the growth of limescale deposits. In more severe cases, an old unreplaced filter can cause an accumulation of bacteria, which can pose health risks. 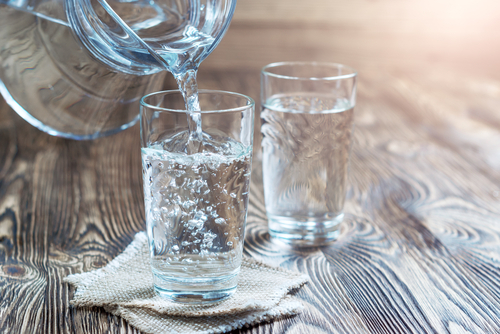 Simply following the manufacturer guidelines and changing filters when required guarantees that the water you are drinking is of the best quality. Choosing the right filter for your refrigerator is vital to keeping your appliance running smoothly and dispensing clean water and ice for your family to enjoy. Filters come in all shapes and sizes, so the first thing you need to do is identify which filters are compatible with your refrigerator. If your refrigerator is an older model, you might have difficulty finding a manufacturer-supplied filter. However, compatible models from trusted filter manufacturers are also available. Buying from trusted vendors ensures you are getting a product that works the way it is intended to. Look for guarantees and certifications from national and international water safety standards organizations such as the NSF and the American National Standards Institute (ANSI). These certifications are often awarded separately for different types of contaminants, so check the information on each product to ensure you are getting a filter that fits your filtering requirements. When removing an old filter and installing a new one, remember to follow the manufacturer’s instructions and recommendations. Your manufacturer might recommend performing such actions as flushing by allowing water to run through it for some time before using it normally. Doing so helps to flush contaminants from the line beyond the filter, reducing any chance these might damage the refrigerator or degrade the quality of the dispensed water. 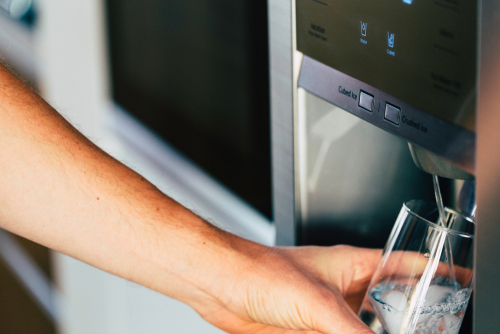 Although some refrigerators come with a “change filter” light, it is important to keep in mind that if you taste metallic or unusual flavors in your water, you may have to change your filter earlier than expected. Filters catch bacteria, which can accumulate on the filter and leak through, which might cause health problems. If members of your family complain about issues with the water dispensed by the refrigerator, checking the filter and replacing it early is a good idea. 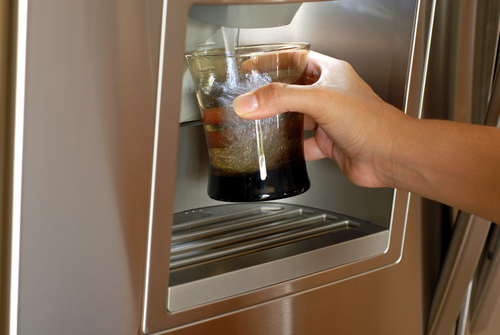 Dirty refrigerators accumulate odors and bacteria, and this can pass into the water delivered by your water dispenser. To properly clean a refrigerator, clear it of its contents and wipe all the interior surfaces clean using a mix of dishwater soap and water. Also, keep tabs on the food in your fridge. Rotten food produces bad smells that can be difficult to clean away and which can affect the taste and smell of your drinking water. 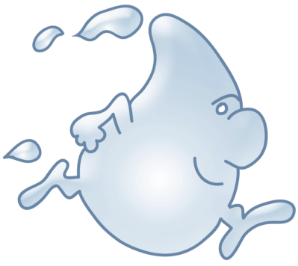 Following these simple guidelines can help you get the most out of your refrigerator’s water filter system. When replacing your filter, be sure to choose high-quality filters that can give you the protection you need from the chlorine, heavy metals, and bacteria that might be in the water from your municipal supply.